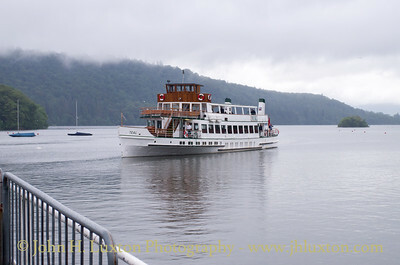 The principal operator of passenger services on Windermere which includes the former classic British Railways / Sea Containers "steamers" SWAN, TEAL and TERN. 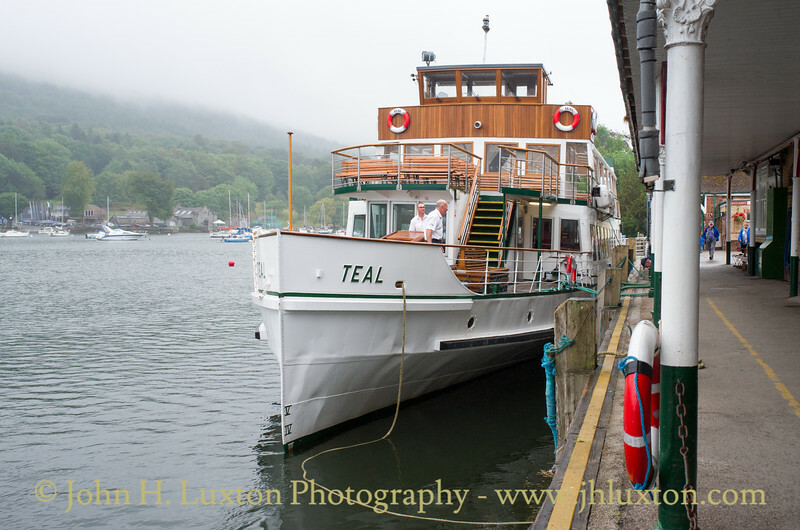 MV TEAL [ built Vickers Armstrong of Barrow 1936] for the London Midland and Scottish Railway has been extensively rebuilt over the years enhancing the passenger accommodation to make her compatible with the variable Lake District weather! 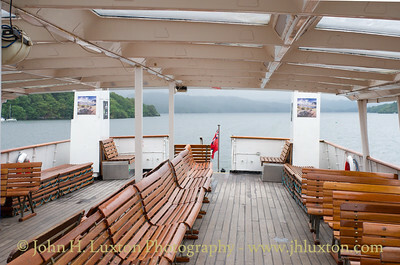 Her semi open upper deck provides a good vantage point on a grey, wet summer day! 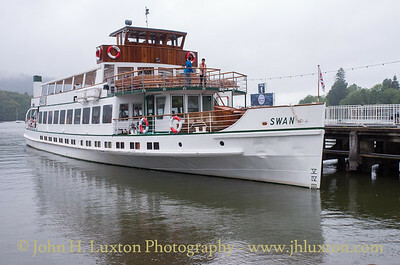 She is seen here at the conclusion of the day's sailings at the Lakeside Pier Terminal. 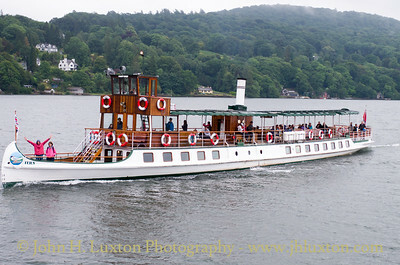 TERN was built in 1891 by Forrest of Wivenhoe, Essex for the Furness Railway Company, then operators of the Windermere Steamer services. 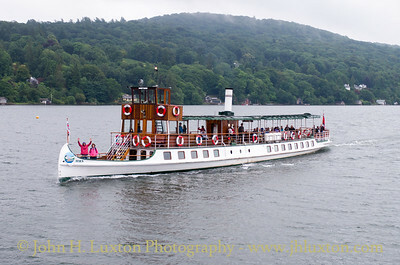 She passed to the London Midland & Scottish Railway in the 1923 grouping and to British Railways in 1948. 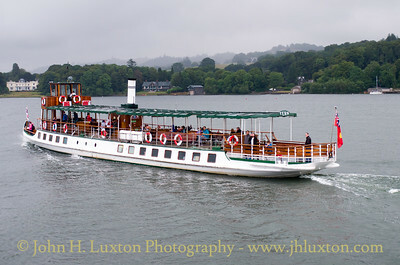 Following the sale of British Railways Sealink to James Sherwood's Sea Containers, (t/a Windermere Iron Steamboat Company), Sea Containers sold out in 1994 to Windermere Lake Cruises. 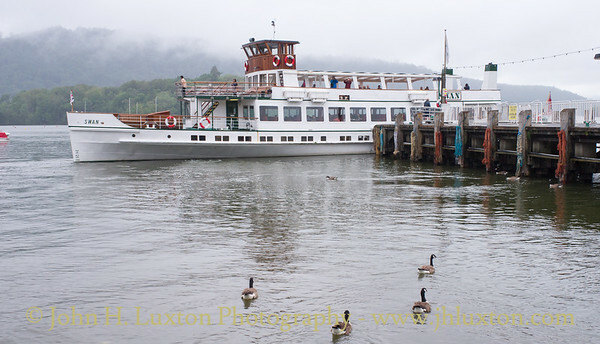 Sea Containers extensively refurbished the vessel and gave her a heritage rebuild with some additions to make her suited to the moist Lakeland weather. 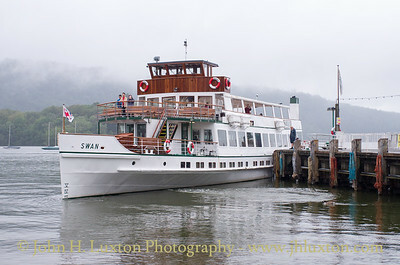 MV SWAN seen at Bowness Pier. 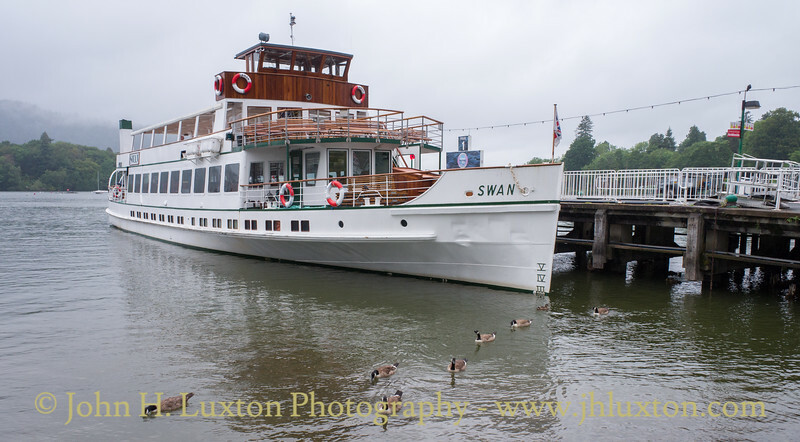 SWAN sister ship to TEAL is the most recently built "steamer" dating from 1938 and like her sister built by Vickers of Barrow. 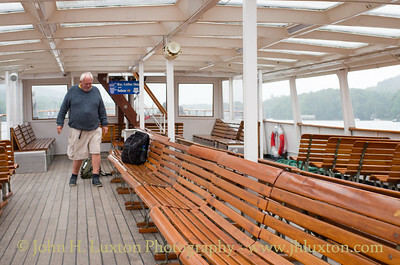 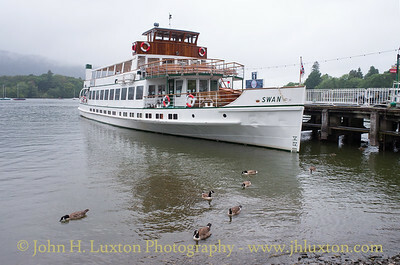 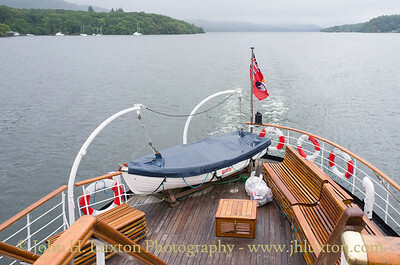 MV SWAN seen departing Bowness Pier. 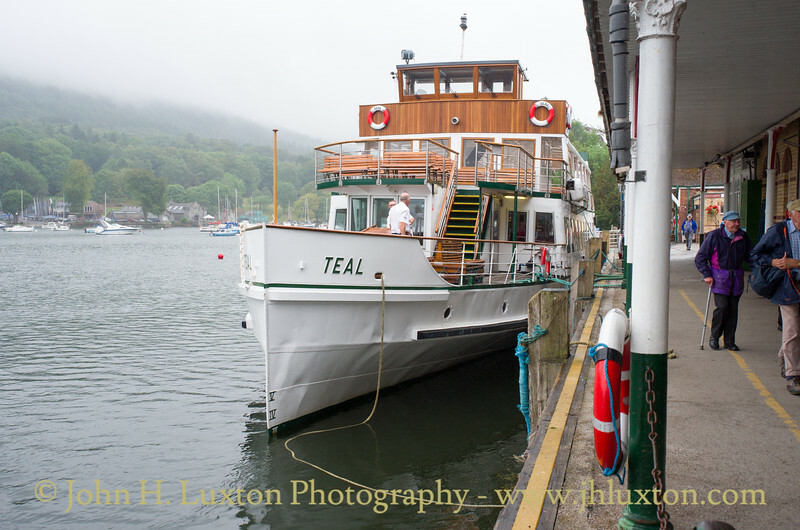 SWAN sister ship to TEAL is the most recently built "steamer" dating from 1938 and like her sister built by Vickers of Barrow. 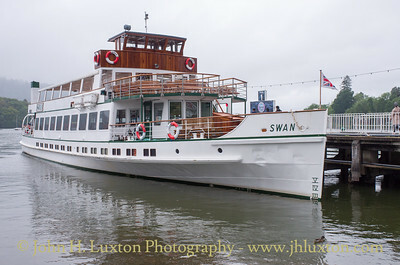 SWAN sister ship to TEAL is the most recently built "steamer" dating from 1938 and like her sister built by Vickers of Barrow. 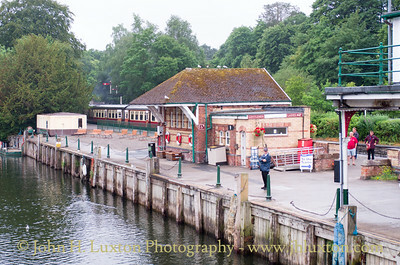 Lakeside Pier Terminal and Station on the Lakeside and Haverthwaite Railway. 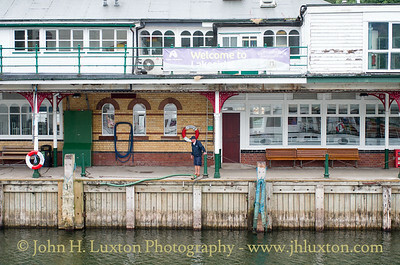 It was previously the terminus of the Furness Railway (Later London Midland and Scottish Railway) Ulverston to Lakeside Line, which was closed in 1965 The station was built as an extension of the line from Ulverston to Newby Bridge, and this opened in 1872. 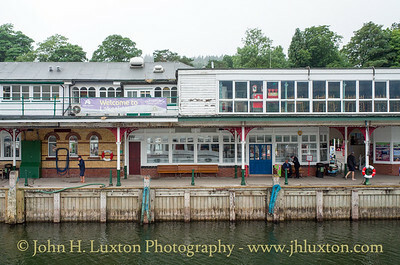 At this time, the Furness Railway, also bought the steamers, and the station became an interchange facility with the lake steamers. 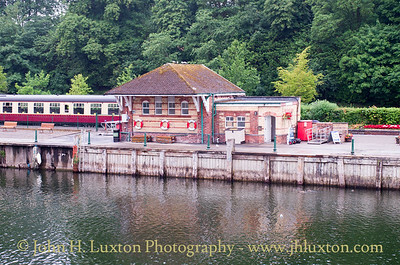 Originally, the station had two platforms and an overall roof. 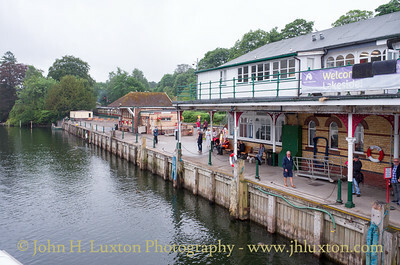 When the services stopped on the line in 1965, the station fell into disrepair, and in 1978, British Railways removed the roof and demolished the clock tower and main station building. 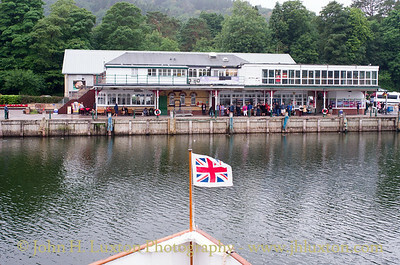 The station reopened as part of the heritage Lakeside and Haverthwaite Railway in 1973, with trains running to the nearby station of Haverthwaite, roughly an eighteen-minute journey. 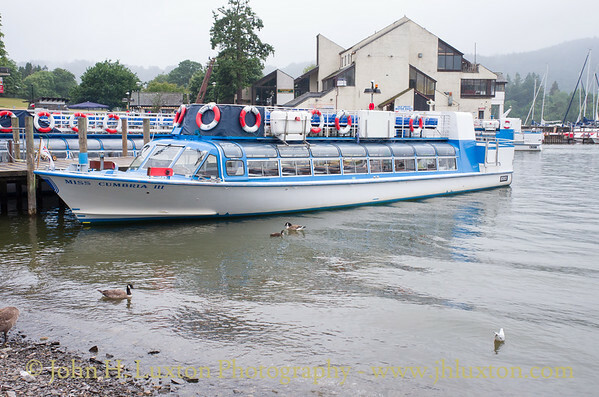 Due to road building the railway is severed from the remainder of the railway network.